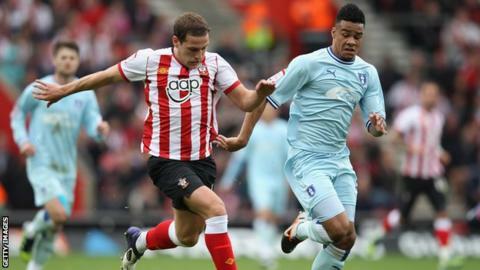 Defender Jordan Willis has extended his contract with Coventry until June 2018. The 21-year-old has made 80 first-team appearances for the Sky Blues, but has not played since August after injuring his ankle in a 2-1 loss to Walsall. "We're delighted to get Jordan tied down to a longer deal," manager Tony Mowbray told the club website. "Since I walked in the door at the back end of last season, I've been really impressed with the qualities and attributes Jordan possesses." He added: "He has fantastic physical attributes, strength and speed, and he is at an age where I believe he can continue to develop in the right environment at the club."